PSA: Change your security camera’s password. Ever get the feeling that you’re being watched? 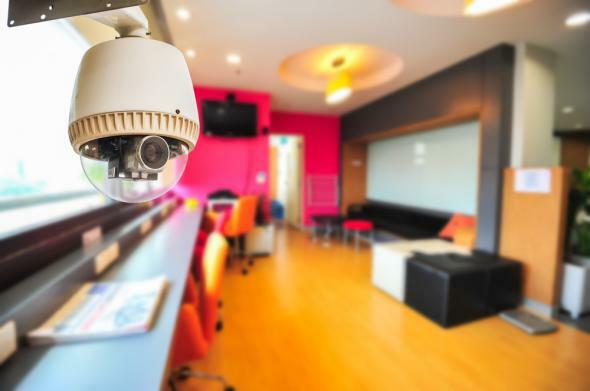 For thousands of clueless homeowners and businesses using private security cameras to keep an eye on things remotely, that feeling may be entirely legitimate. Your front yards, living rooms, children’s playrooms, and even bedrooms could be on full display for anyone to watch. The reason why is incredibly simple: You never changed the default password. Last week, tech sites began buzzing over Insecam, a website that links to tens of thousands of potentially private video streams. Users can click on video feeds by country and region, pulling up thumbnail galleries of camera feeds. A quick look at the site appears to show everything from disheveled living rooms to sleeping babies. (Don’t forget to make up your bed! A stranger in Russia might see it and think you’re messy.) One user snapped a screenshot of what appears to be a woman reading a book in the comfort of her living room. While the majority of camera feeds are unexciting—garages, parking lots, and empty rooms—the sheer potential for invasions of privacy is unnerving. The available feeds are not the result of a sophisticated hack, but rather password negligence. Insecam simply aggregates camera systems that are set to the default administrator name and password. If you want to keep your private business private, all you need to do is change your password. (Even Insecam notes this on its FAQ page.) In all honesty, this is more of a wake-up call than a malicious act; the feeds were already “open” and available for anyone with a basic knowledge of networks to view. Change your passwords! If you have a built-in or USB computer webcams, this does not affect you. (If you’d like a reason to worry, see why you should keep them covered anyway.) According to Insecam administrators, the video feeds on display are only “networked surveillance security cameras and digital video registration systems.” These sorts of systems include everything from remote nannycams to CCTV security cameras at businesses. Why would someone would go through the trouble to install a private camera system for remote viewing, and not change the password from “password123” to something more difficult? Apparently, thousands of people don’t see the need.